Whoever is writing a movie script about the bizarre saga of Kurt Cobain’s MTV Unplugged guitar is going to have to scrap their current draft, because some new twists have just been introduced. 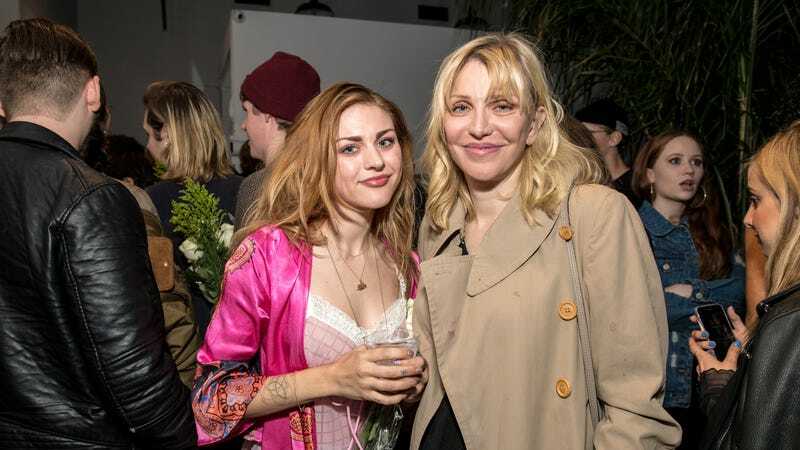 The way we understood it last week was that Cobain’s daughter, Frances Bean Cobain, had gifted the guitar—a 1959 Marin D-18E—to her then-husband Isaiah Silva a few years ago, but she eventually tried to get the guitar back by claiming she had never given it to him in the first place. Last Thursday, Silva filed a lawsuit against Courtney Love (Cobain’s mother), her business manager Sam Lutfi, and 13 Reasons Why actor Ross Butler for allegedly plotting to kidnap and murder him in hopes of getting the guitar back. That’s already wild, but now actress Jessica Sullivan (who has a child with Silva) says that Love and her crew also tried to get her involved by attempting to bribe her into going along with their story. That comes from Billboard, which says Sullivan has also sued Love, Lutfi, and “a number of other unnamed co-conspirators” for “criminal conspiracy, bribery, dissuading a witness, solicitation of perjury, intentional infliction of emotional distress, and stalking.” Sullivan’s suit says that Love and her associates offered money and “professional favors” to Sullivan and other people how knew about the guitar so they’d either stay quiet or lie about whether or not Frances Bean Cobain had actually given it to Silva. When Sullivan decided not to play ball with Love, she and Lutfi allegedly “relentlessly menaced” her and her family, threatening them with phony criminal charges, civil lawsuits, damage to their careers, and even “bodily harm.” There was also supposedly a time when Lutfi would text Sullivan about the guitar “up to 40 times a day” and would call her “at all hours” and describe what she was wearing so she’d know she was being watched. Sullivan says her “social media business suffered” and she has since had a hard time getting acting jobs because she moved from Los Angeles to Orange County in order to try and avoid Love and her people.